In April a new orchestra for young professionals aged 22 to 32 gives its debut concerts. 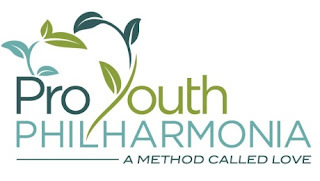 The Pro Youth Philharmonia will be performing at Cadogan Hall, London (13 April), the Sheldonian Theatre, Oxford (14 April) and Victoria Hall, Stoke-on-Trent (15 April). The orchestra is the idea of the flautist Wissam Boustany, who conducts the ensemble and will be joined by a team of prominent musicians who will mentor this first tour. Stephanie Gonley, leader of the English Chamber Orchestra, will combine her role as soloist with coaching the strings, horn player Jonathan Williams will work with the brass, and the flautist and pedagogue Anna Noakes will be the orchestra’s woodwind mentor. The programme will consist of James MacMillan's Confession of Isobel Gowdie, Sergei Prokofiev's Violin Concerto No.2 and Béla Bartók's Concerto for Orchestra. The orchestra will use Boustany's Method Called Love, his own rather different approach to instrumental training, as well as inspiring audiences and an extensive educational outreach programme, teaching children how to integrate love on their journey through life. The orchestra's educational and outreach projects will include Art/Poetry Competitions, with the winning art work used for concert posters and the winning poem being read in concerts. There will also be an Emerging Musician Programme for a very promising A-level instrumentalist to join PYP for rehearsals and a concert. Full details from the Pro Youth Philharmonia website.